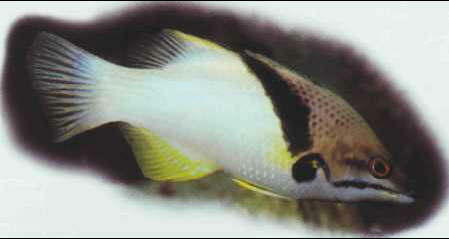 The young are brown-black with dark patches on the fins that disappear in the bicolor adult. The harpfish swims continuously, and it must therefore be given a large space with room to move about, although the aquarium must also provide it with shelters. The adults do not tolerate members of their own species. Size: 20 cm.